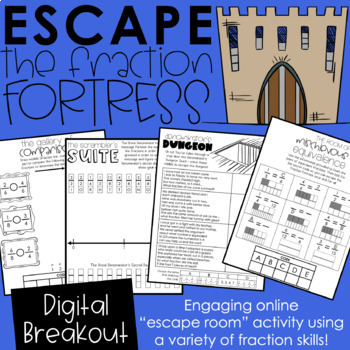 This is an engaging digital breakout activity that will challenge your students to use their critical thinking skills while solving puzzles related to fractions. 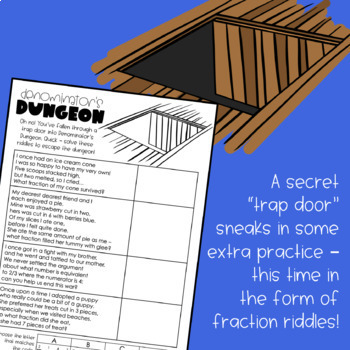 Students have become trapped in The Great Denominator’s secret lair and need to escape by completing tasks on paper to unlock the codes for three digital rooms (and a hidden dungeon!). 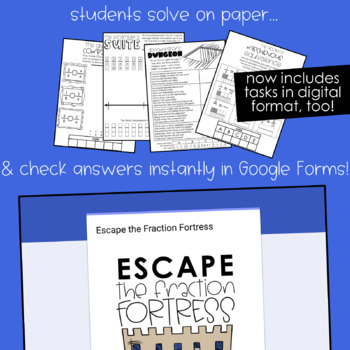 Skills used in this activity: comparing fractions, plotting fractions on the number line, finding equivalent fractions, solving fraction riddles, and (of course) problem solving and critical thinking skills. 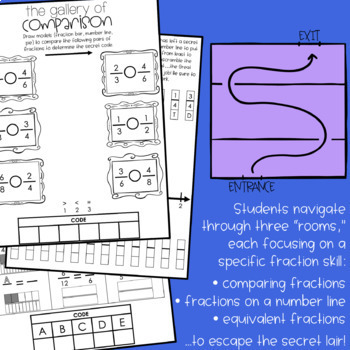 Students can complete this activity independently, in pairs, or in small groups. I like to use strategically chosen partners so that each student is accountable for participating, and I also make sure to actively circulate so that students get the support they need.